I'm not sure if it's every little boy, but I know my son went through different phases with the toys he played with. First there was Thomas the Train. He was obsessed for about two years straight. Then he really became a Cars fan and loved anything to do with Mater, now he's obsessed with Batman. This happened over the Summer. Although he still loves Thomas and Cars, anything to do with Batman is where it's at right now. 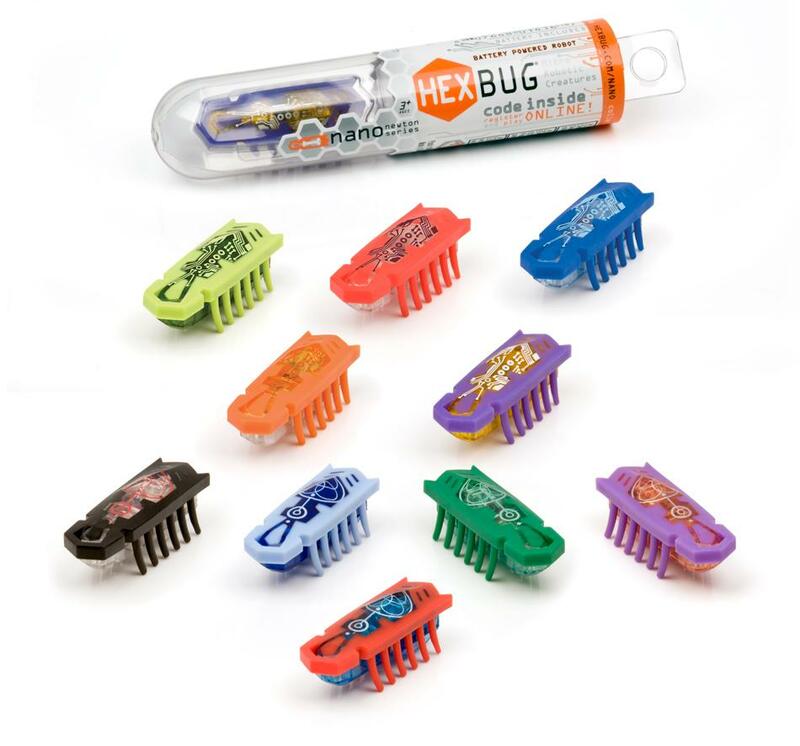 So when I had the opportunity to review Hexbug Nano, I thought, "Why not give it a shot?" I was totally surprised at the reaction I got when I handed him the toy. Apparently mommy is just behind because he definitely knew what Hexbug's were and he told me a couple of his friends had them. Not only has my son, who's five, been playing with this Hexbug and the track ever since he got it, but both my nephews thought it was pretty cool and one's a teen and the other is a pre-teen. What I love about the toy is that it's very durable, not easily to break and it not only comes with the bug that moves around like crazy, but it comes with the track, which can be designed and put in different ways, which was pretty cool. My son loved seeing the Nano go up and down the track. The Nano also behaves like a real bug, which I thought was pretty awesome. It flips over by itself, it's easily to fit in your hand (I know this because my son took his to school without me realizing it), comes with batteries included and I also love that there are different Hexbugs of all shapes and sizes so your little guy can collect them all. I have a feeling Santa will definitely be bringing some Hexbug's in our house this Christmas. If you're a fan of Hexbug, please feel free to pop on over to vote for the Hexbug Warrior for the People's Play Awards in the Action Toys Category. Disclosure: All opinions are my own. I received Hexbug Nano at no cost for the purpose of this review. No other compensation was received.